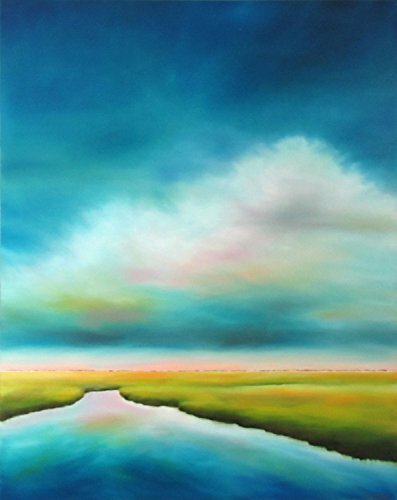 A moody summer sky inspired me to create this large marsh landscape. I used deep blue, turquoise and chartreuse to convey a quiet scene where water drifts behind the beach under colorful clouds. This painting is on a gallery wrapped canvas with finished black edges. It comes ready to hang.